Hope your day is going well! I've been busy, busy getting ready to go for a girls weekend to one of my favorite spots - The Little Apple - and we are headed to the football game! So here's to a quick little note before I hit the road! 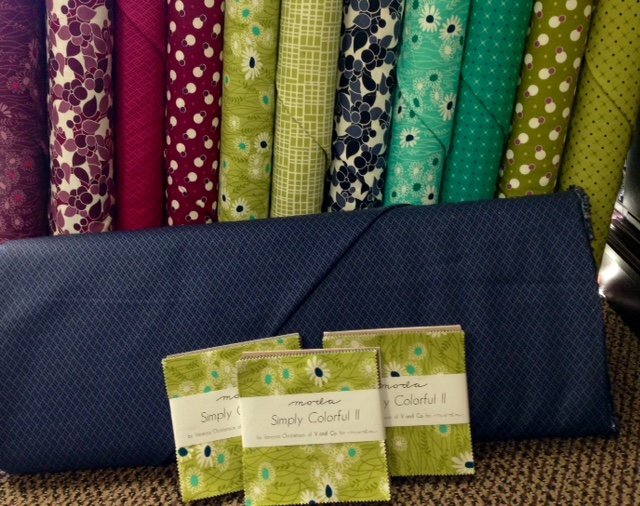 A fun NEW fabric line called Simply Colorful II is in! This line is 12 bolts of fun fabrics in beautiful colors! We also have coordinating charm packs! A NEW embroidery sample is up - Home Sweet Home. 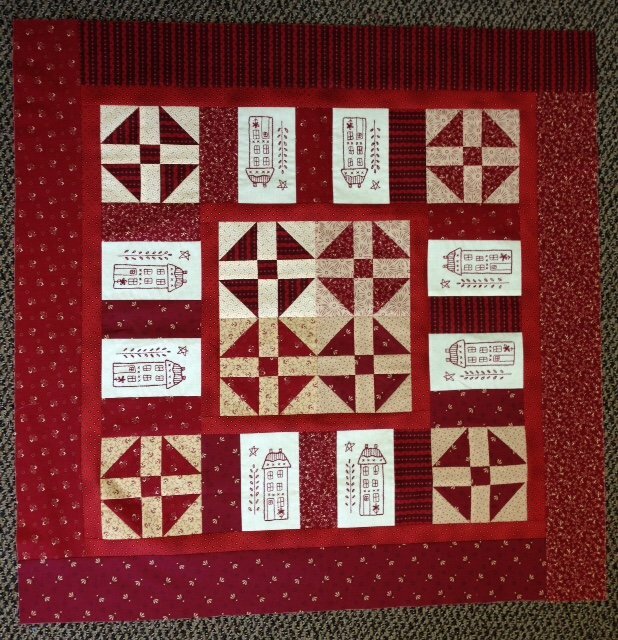 This is the perfect size for a table topper or wall hanging! We just love the little houses. Kits are available! 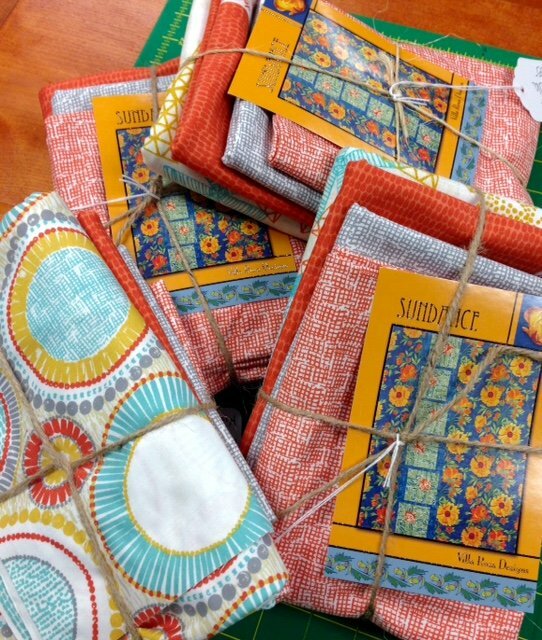 NEW kits from Villa Rosa Designs - Sundance! Making this funky, fun, fresh throw in one day! It's so simple and fun you will love it! Are you the best pressed? We have re-stocked our inventory of Mary Ellen's Best Press - light starch alternative! Stop in and stock up today! This Saturday is Woolie & things day - join us in the 3rd floor training room for a fun day! Bring a project or pick out a new one! We will start at 10 am. Join us for a ONSIE SALE next Friday & Saturday ONLY! Any kits with only one left will be 15% off for 2 days! Stop in and see what we have - you might find the perfect project! I hope you all have a wonderful weekend and enjoy the nice weather! I know I will! GO STATE!